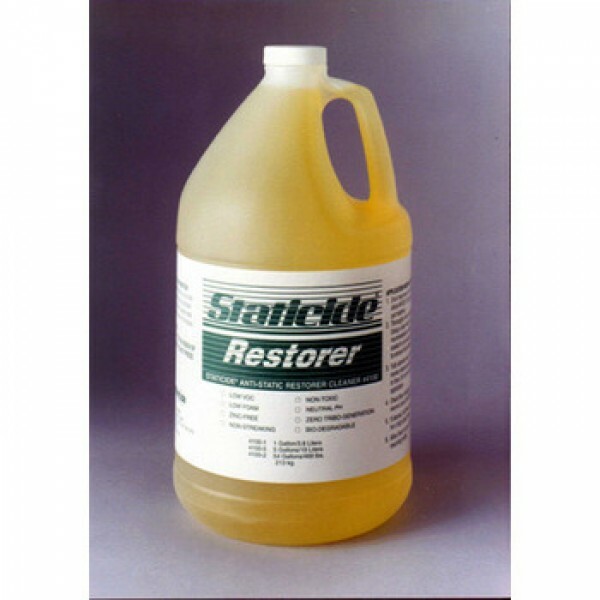 ACL Staticide 4100-5 - Restorer - Cleaner - 5 Gallon Bottle. For heavy duty cleaning of ACL static dissipative floor finishes and dissipative tile. The ACL Staticide 4100-5 is a static dissipative restorer/cleaner not only renews the gloss, it contains a special conductive residue that breaks down electrical discharge,lowers resistivity and returns floor to safe and proper specifications.